Trout Creek Park provides visitors an opportunity to check the boardwalk and hammock for migrants, and to scan the river for waterbirds. If you have limited time, focus your attention on the boardwalk and loop trail immediately north and south of the parking area. As you stroll along the river amongst the live oaks and sabal palms, look for Wood Duck, Anhinga, Great Egret, Little Blue Heron, Osprey and Limpkin. 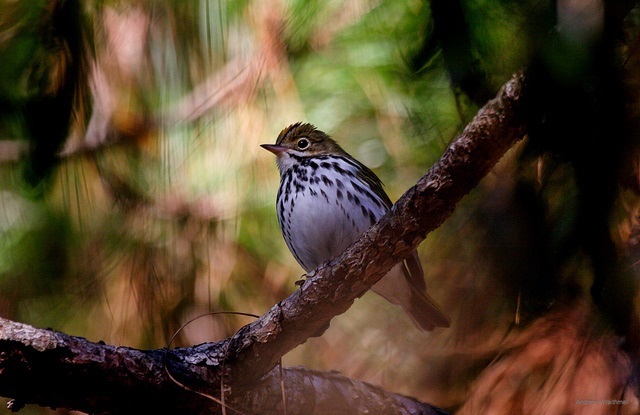 Watch for Gray Catbird, Ovenbird and Orange-crowned Warbler during fall and winter months. Visitors with more time on their hands have additional options for exploring the park and surrounding area. Put in/take out a canoe at the launch near the parking area to access the Hillsborough River State Canoe Trail, which links five additional GFBWT sites to the northeast and Lettuce Lake Park to the west. Or follow the entrance road west about 850 feet from the parking area, which leads to the Bayshore Trail, a segment of the 35-mile Wilderness Park Off-Road Trail System. From the entrance road, turn right onto the trail and proceed northwest up the hill to the large water control structure over the river; this is a great vantage point from which to see flocks of feeding Wood Stork and White Ibis. Wild Turkeys are sometimes spotted along the park’s trails as well.